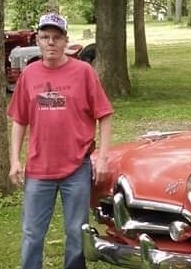 Jessie A. Williamson Jr., 58, of Frankfort, Ind., died November 29, 2018 at his home. He was born September 20, 1960 in Pelham, Georgia to Jessie A. Williamson Sr., and Ethel N. (Glass) Williamson. He married Susan L. Smith on May 23, 1987 in Frankfort and she survives. Jessie attended Calhoun High School in Georgia. He was born and raised in Pelham, Georgia and moved to Frankfort in 1985. Jessie was a veteran of the U.S. Army. He had worked for Mathews Wire & Wood and at Sun Chemical, both in Frankfort. He was a member of Zion Apostolic Tabernacle. He enjoyed working with cars, watching NASCAR, collecting NASCAR memorabilia, taking walks and especially walking his dogs. Visitation will be 3-4 p.m. Monday, December 3, 2018 at Zion Apostolic Tabernacle, 1155 W. Barner St., Frankfort, Ind. Memorial service will begin at 4 p.m. at the church. Pastor Jon Hussey will officiate. Memorial donations may be made to the Williamson Family, c/o Goodwin Funeral Home, 200 S. Main St., Frankfort. He was preceded in death by his parents and a sister, Mary Alice Williamson.